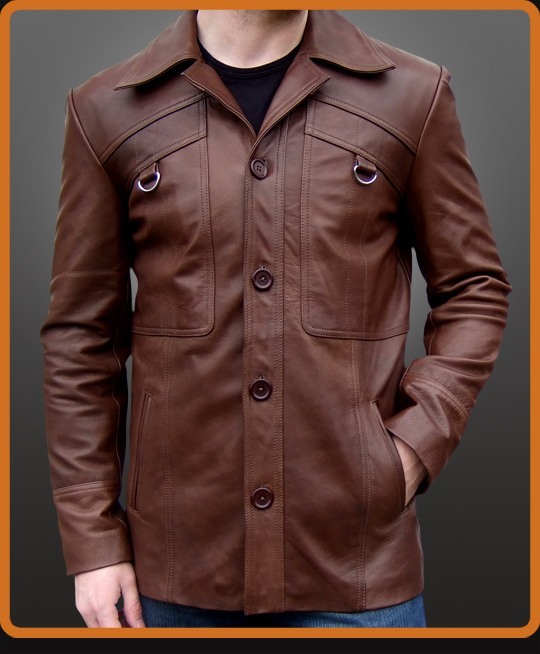 A new button style leather jacket with original angled chest pocket design. Details include lower slit pockets and cuff seam lines. Vintage designer style. Available in Antique Brown and Black.